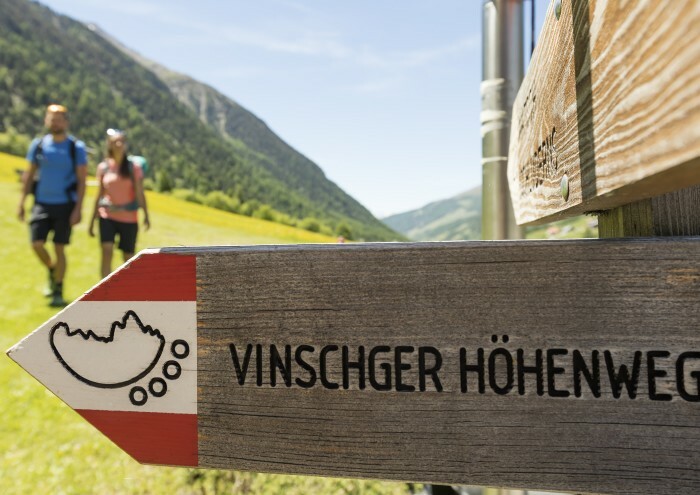 The Venosta Valley High Mountain Trail “Vinschger Höhenweg” runs from the Etsch source at the Reschenpass to Staben in the lower Vinschgau and can be reached in five daily stages. 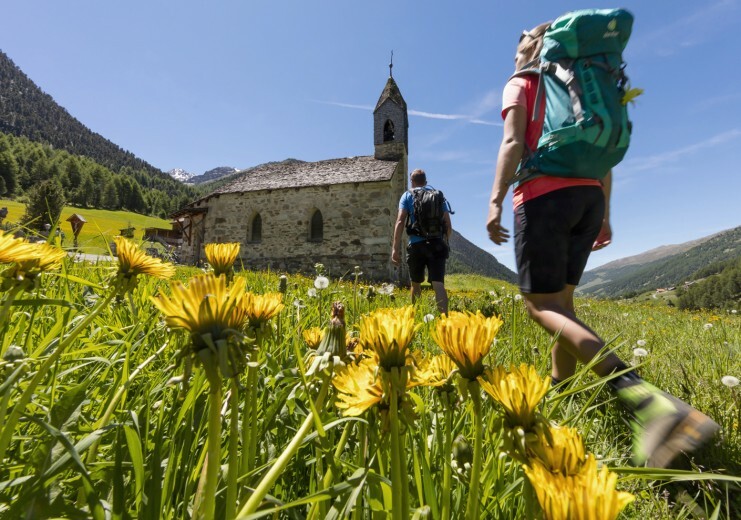 The most demanding section in terms of fitness is that from Planeil via Malettes above Mals to Muntetschinig and from the village of Matsch into the Matscher Alm. The path leads on the other side of the valley on the Höfeweg farm trail high above Schluderns to the Vinschgau Sonnenberg. These two stages are packed with variety, and range from high alpine terrain to Mediterranean slopes. Due to limited accommodation, advance-booking of accommodation is recommended. The trail across the Bildstöckljoch (The Pass of the Shrine) is a high alpine passage from the Matsch to the Schnalstal Valley. Even today, the Matsch people traditionally walk to Schnals on August 15 for the church festival in the Village of Our Lady. 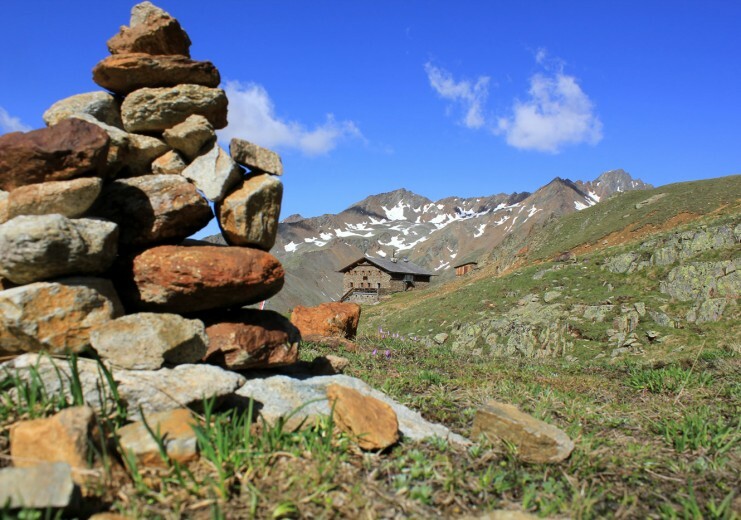 From the Oberettes mountain hut we take the steep no. 1 trail through the gully “Klamm“ up to “Klein Tibet“ meaning “Tibet in miniature” and, from there, a slight ascent to the small shrine (“Bildstock”) for which the mountain takes its name, at 3,097 metres. From here we descend on the Schnals side in the Langgrubtal Valley to Kurzras. If you would like to stop off at the Schöne Aussicht mountain hut (2,842 m), you can turn off to the left a few bends beforehand and make your way up to the hut. 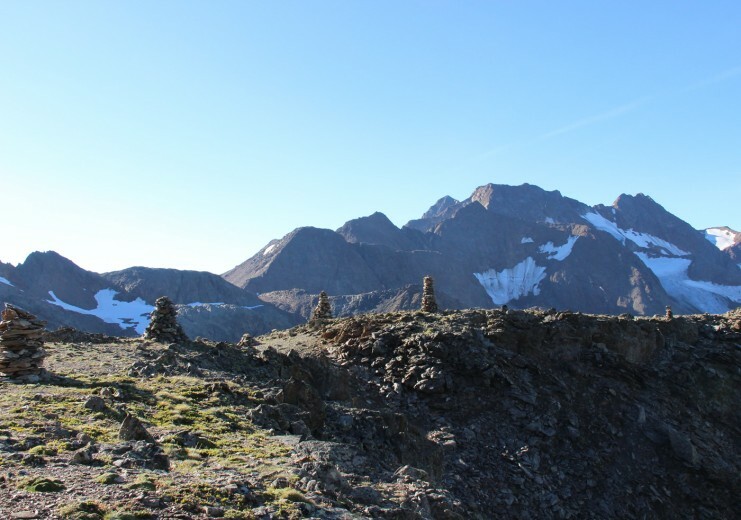 An isolated and extremely challenging passage from Matsch to Langtaufers. 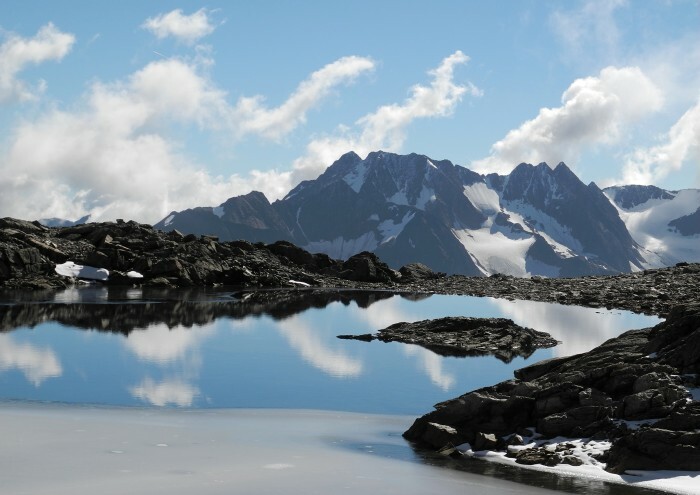 More and more often, mountaineers combine this passage with a hut-to-hut hike (Weisskugelhütte hut – Oberettes mountain hut – Schöne Aussicht hut). 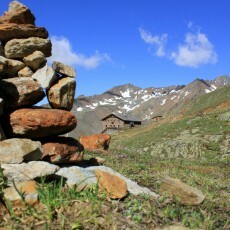 From the Oberettes mountain hut or the Glieshof, continue along the gully on the signposted trail to the Fernerpleisen. From here we climb left to the deep saddle of the Matscherjochsee Lake at 3,209 metres. To the right of the Planeiler Ferner, below the Freibrunner Spitze peak towards the Roter Kopf to the Planeiler Scharte saddle (3,090 m). 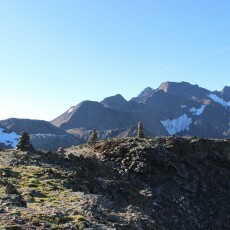 This section is well marked, with a number of cairns, but no ascent. From the Planeiler Scharte we follow trail no. 5 down to the Melager Alm mountain pasture and hut at 1,970 metres and from here we ascend once more to the Weisskugelhütte hut (2,554 m). This passage requires experience in Alpine mountaineering. Recommended period is July and August.